Traffic Barrier Plus is the ideal solution for defining vehicle traffic ways, in both internal and external environments. The modular components make any length of barrier possible and extensions to existing barriers are also simple to achieve. The design guarantees an easy and cost effective fitting process. Selected high-performance safety anchors are included with the system and installation should be into good quality concrete. 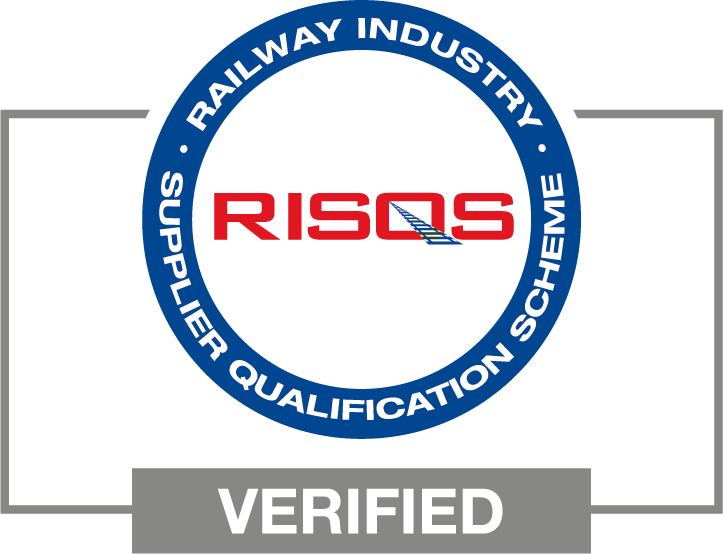 Applications include protection of buildings & machinery. 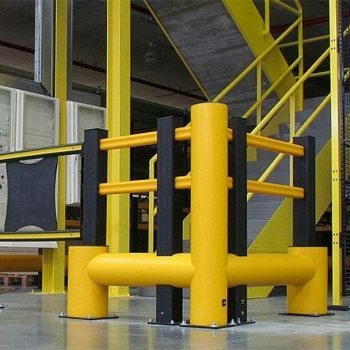 Traffic Barrier TB Plus is designed to protect machinery, materials, equipment and building structures where lift trucks and other vehicle traffic is present. It has the added feature of an integral double handrail above the barrier to protect and segregate pedestrians from vehicular traffic and provide a safe walkway. Assembly utilises the same unique locking device (patented) used in the Flex Impact range of safety products. This provides easy assembly without the use of nuts, bolts, screws or welding. 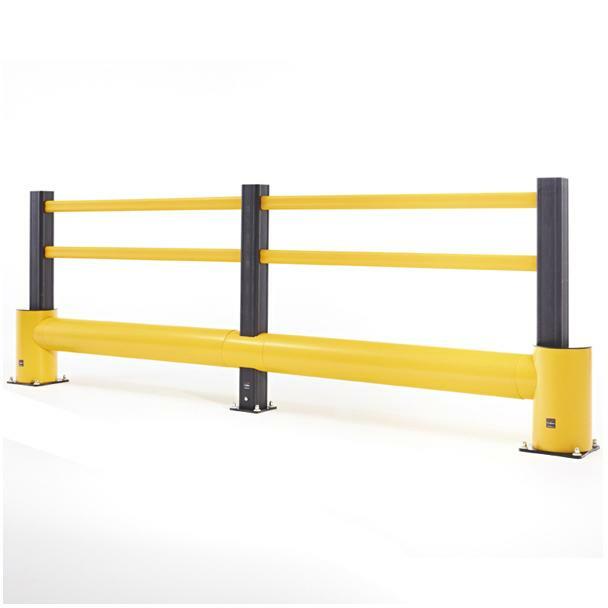 Traffic Barrier TB Plus is the ideal solution for defining vehicle traffic ways, in both internal and external environments. The modular components make any length of barrier possible and extensions to existing barriers are also simple to achieve. Each part is pre-assembled prior to delivery and the design guarantees an easy and cost effective fitting process. Selected high performance safety anchors are included with the system and installation should be into good quality concrete. Component parts are manufactured from a highly durable synthetic polymer derivative. The material has great resilience, yet is elastic in nature and absorbs the energy from impacts, before returning to it’s original shape. 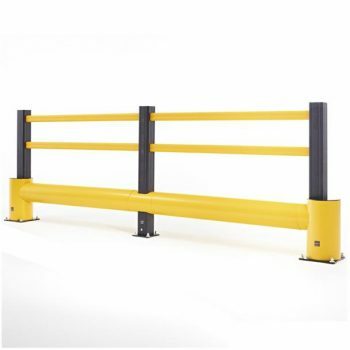 The barrier is available with an impact height centre of 300mm. 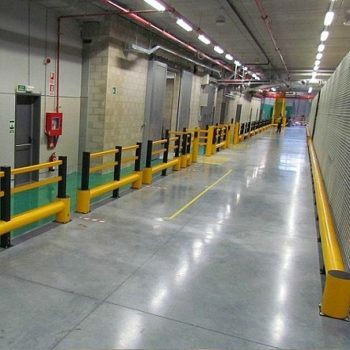 The barrier is generally used in industrial environments where the majority of traffic is lift trucks or similar vehicles. The barrier has been designed and developed to comply with relevant safety standards and regulations.